You can turn your unpaid invoices into cash within a couple of days. It is a simple process, you could receive, for example, 85% of the value of your outstanding sales invoices within the next 48 hours. They don't even need to be due or overdue - you can get money against them as soon as your raise them. Having an outstanding sales ledger of unpaid invoices appears to be the bane of many UK businesses. Assuming the customers eventually pay, these are cash in the bank for the future but that does not necessarily help you today. It can be so frustrating looking at a ledger of outstanding invoices and yet having an empty bank account. Many businesses find themselves in a situation where they need to release some of that cash immediately. This could be to pay suppliers for raw materials, meet the monthly staff payroll or other unexpected costs such as a large VAT bill or PAYE bill. 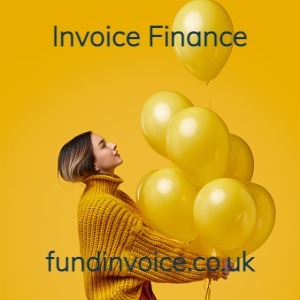 There are simple ways of raising cash against those unpaid invoices. The companies that provide this type of funding will advance you say 85% of their value immediately. Either they will collect the outstanding invoice in for you, or you can do this yourself. Once it is paid, the balance is released to you less a charge for using the prepayment service. If you don’t like the idea of being tied into an arrangement, there are selective arrangements available where you have no lock ins, no minimum requirements for usage and no obligation to ever use the service again. If you just needed some cash to get you over a short-term cash flow lull, this can be the answer.